Boxing is a demanding and physically taxing sport. For you to be able to do it properly in a way that will put less stress upon yourself, both physically and mentally, you need to be able to use good and high-quality equipment. 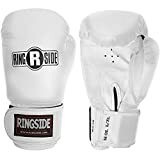 The most important of these various types of equipment is none other than the boxing gloves themselves, which are as symbolic to boxing as the ball is to basketball. 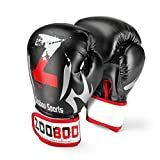 In order to have the best experience in all your boxing endeavors, whether purely for fitness or for sport, you need to have top-notch gloves that can operate on par with your punching. 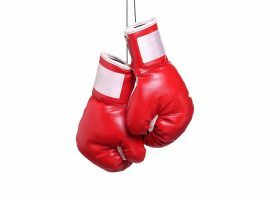 The market today is saturated with so many boxing gloves that sometimes it can be difficult to find for a good one, let alone one that will work to your advantage. In that case, it is integral and very important for you to know what to expect from a top-notch and high-quality set of boxing gloves in order for you not to waste your time and money in buying subpar ones. Proper construction, reliable materials and user experience – keeping these three things in mind will more than likely contribute to a proper boxing experience using a top-notch set of boxing gloves. 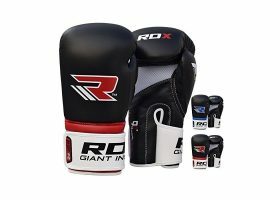 Without further ado, here are some of the factors to look for and consider in a good and properly made set of boxing gloves. Sparring gloves, which are made to develop your skills as a boxer and to protect you and your sparring partner while doing so. Training gloves, which are great for bag training, sparring and all other kinds of training purposes. 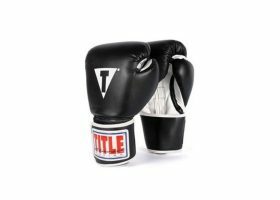 Fighting or pro gloves, which are made especially for fight night and professional boxers entering competitions in general. Cardio gloves, which are only good for mitt work and bag training and will not transition well into boxing. Muay Thai or kick boxing gloves, which offer more flexibility for kickboxers in general. In general, if you don’t know which type to get and you’re just starting out, go with training gloves because they are an overall great starting pair of gloves due to their ability to cross between bag training and sparring. In most cases, leather gloves are always the way to go because of their overall higher durability than most other types of boxing gloves. Leather has a higher quality and better reliability than most other glove types, the most common of which are synthetic materials like vinyl. To illustrate the difference, leather gloves only exist within professional and training gloves and are generally much more expensive than their counterparts. This is simply because leather is a very strong material that can hold up under a lot of stress and will last you quite some time provided that you take care of it well. However, that is not to say that synthetic materials are completely useless as boxing gloves. They are pretty useful too, but watch out for the quality in how they’re made. Some of the lesser synthetic gloves will offer little to no protection at all, so extra research is a must if you are constrained by your budget to buy a synthetic pair of gloves over a leather one. 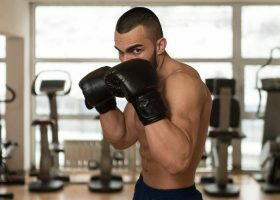 For training, sparring and general mitt work, synthetics will do their job well but be mindful of other buyers’ opinions on them. If you’re not constrained by any budget it’s always better to go with leather. The amount of padding can also be a sign of whether or not a set of boxing gloves is any good. The moment you throw a punch with them properly, you should feel little to no pain or any other type of resistance that may shy you away from punching. Usually, in bag training, more padding is required since the bag is heavy and a little bit harder when you hit it. 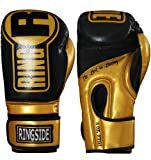 It will protect you from having sore knuckles caused by excessive punching throughout your activity. The same heavy padding goes for sparring gloves, which are meant to protect you and your sparring partner from hurting yourselves during sparring sessions. However, fight gloves are different in such a way that padding is very restrictive. This is so that it can induce greater amounts of damage to your opponent while in the ring. 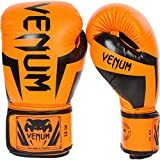 These gloves are very dangerous to use in heavy bag training, however, and you may end up bruising your knuckles if you use them for those purposes. A proper set of boxing gloves will provide you with a snug fit over your hand and hand wraps. Although some gloves claim that they can be used without hand wraps, it is very much recommended that you use hand wraps alongside boxing gloves in order to supplement the cushioning effect of the gloves itself. Boxing gloves come in a wide variety of sizes in order to fit the needs of most users, so choose a glove that fits both your hand and your chosen hand wraps. 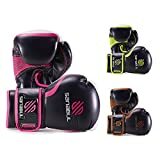 After looking at the criteria and knowing the requirements for a good and proper set of boxing gloves, the next step is to find one that meets those criteria. To help with that, here are some of the most cost-efficient boxing gloves on the market today, alongside their strengths, weaknesses and overall verdict. Everlast proves itself yet again with these durable and high-quality training gloves that feature a wealth of incredible innovations native only to the Everlast brand. 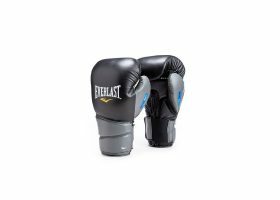 The Everlast ProTex2 is made with highly durable and long-lasting synthetic leather that is comparable to even the strongest and most high-quality leather boxing gloves. The ProTex2 uses the Evergel technology that provides amply strong cushioning that dissipates the impact energy that you expend whenever you throw a punch. It also uses a very specific ProTex2 innovation which is an improvement over the first iteration, in which it utilizes a two-ring anatomical foam collar system to provide you with stability and comfort within your wrist whilst offering utmost protection for your hand. The Evergel technology is also combined with the C3 foam technology, which is designed to increase your cushioning and fit the contour of your hand perfectly. It also promotes support and force dispersion through strategic shock absorption on all levels. With the tandem of Everlast’s EverCOOL and EverDRI technology, you will always keep your hand relatively dry and free from moisture that will otherwise cause your glove to accumulate unwanted odors. 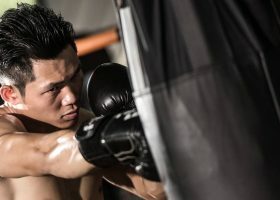 Although marketed as a set of training gloves, the gloves, according to most users, only work well during heavy bag training and not for sparring. Stitch-popping is also a severe issue that seems to come from the lack of quality seaming and prolonged heavy use. This is definitely disappointing for gloves that should be fit for both sparring and heavy bag training. Yes, it might not be a great set of sparring gloves, but if your purposes generally call for more fitness rather than competitive boxing itself, the Everlast ProTex2 should be more than enough for your needs, especially with its incredible price tag and cost-efficiency. As a manufacturer of mainly MMA equipment, Venum knows its way around proper hand and wrist protection. 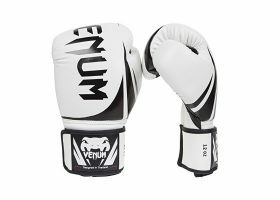 Such is the case with their premium boxing gloves, the Venum Elite. They are made from 100% premium Skintex leather, handmade from the ground up in Thailand. The Skintex is a unique blend of materials that can compete with natural leather on a basis of strength and durability. The Elite also features specific mesh panels under the fist area to conveniently ventilate your whole gloves and regulate your hand temperature properly. The triple density foam is designed so that it cushions your blows better and much more efficiently, from sparring to heavy bag training. You are well protected from severe blows that you deliver while maintaining the stability needed to be accurate in your punches. The palm area is also reinforced to better absorb the impact of even the strongest and hardest of punches. The seams of the Elite are strengthened in such a way that they are melded into the ergonomic design of the gloves itself. The gloves close themselves with a large Velcro enclosure for easier and less demanding removal. The Elite’s ventilation systems could use some work as some moisture build-up is being reported in most cases of use. The no-name foams are also slightly restrictive because they are generic, even if they are triply used. Using the Elite if you’re a heavy, more experienced hitter can cause injury and pain. For a fair price, you can own a pair of Elite gloves and enjoy its above-par features with little to no disappointments whatsoever. 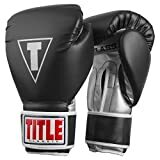 However, if you’re an intermediate boxer then these gloves are not for you, mainly because of the less efficient shock absorption system that only works for beginners and less powerful strikes and punches. Finding a good women’s boxing glove can be a bit tricky especially when it comes to sizing and cushioning demands. 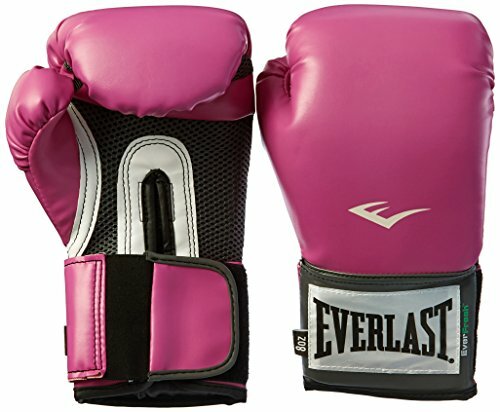 Fortunately, Everlast have met that need with the Women’s Pro Style, a counterpart to their Pro Style model. These training gloves are made with high-grade and premium-quality synthetic leather that is constructed superiorly alongside an ergonomic and functional design provided natively by Everlast. The design is such that the glove is shaped as naturally and as ergonomically as possible to your hand in order to keep your fist positions as natural as possible. The Women’s Pro Style contains a firm inner padding that absorbs shocks and impacts and reallocates them throughout the whole glove, keeping your hand well-protected. It also uses Everlast’s very own Everfresh technology which is an antimicrobial treated lining that prevents unwanted growth of bacteria to keep your gloves smelling fresh. As with other Everlast products, the Women’s Pro Style uses a combination of the EverCOOL and EverDRI innovations to properly ventilate your gloves and keep it as moisture-free as possible. Although the antimicrobial lining can help prevent odors caused by bacteria, nothing can protect you from the sometimes overwhelming chemical smell that the Women’s Pro Style gives off. Most likely, this is due to the unnamed cushioning technology used in the padding, so be wary of that and consider it accordingly when you purchase it. As there isn’t a whole lineup of cost-efficient women’s gloves yet, you can be safe in assuming that the Women’s Pro Style is worth buying for that reason alone. It provides incredible support and stability for most training uses while being affordable enough to be considered a beginner type of glove. Excellence in a very affordable price range is the name of the game for Title’s own spin on the budget-friendly training gloves, the Title Classic Pro Style. Even though it shares a name with a more common and well-known lineup from Everlast, you can bet that it doesn’t skimp on its features like a cheap knock-off. The Title Classic Pro Style is made with highly-durable and extra resilient synthetic leather, which drives its price down while keeping its quality high. The multi-layered and shock-absorbent foam lining helps with your hand protection through the help of its own ergonomic design which stabilizes the impact upon contact. The built-in gel technology is impeccable in its construction, sufficiently filling up the foam lining to help keep the moisture in which bacteria thrive away. As a result, the gloves are free from any horrid smells that could accumulate through use. The built-in thumb lock feature helps in keeping your thumbs relatively safe from injuries, while keeping it flexible enough so that you feel no discomfort. The full wrap-around twin-ply wrist strap with hook-and-loop closure keeps your gloves from slipping off your hands. Although this is one of the best gloves due to the nature and craftsmanship in its construction, the fact that the gloves only come in two sizes means that sizing is very limited. If you have a bigger frame, you almost definitely will not be able to use it, even without hand wraps which is of course not recommended. If you can fit it on your hand snugly, then the Title Classic Pro Style is a good and well-made set of training gloves. It can deal with stability and durability issues that are prevalent in these kinds of gloves while maintaining a high level of functionality. It’s definitely a cost-efficient choice for its features and value. 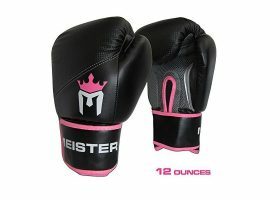 The Meister Pro, in terms of consistency, is one of the best low-priced training gloves out there today. Made especially with beginners in mind, the Meister Pro is made of ultra-durable and premium-feel synthetic leather which utilizes ergonomic and hand-contouring designs for perfect fitting and protection at every turn. The synthetic leather also drives down the cost while keeping the quality at optimum. The Meister Pro’s padding is made from multi-layered and high-density impact foam that will properly and sufficiently protect your wrists without any trouble whatsoever. Its shock absorption is well-implemented, working with very efficient impact resistance that keeps your punches straight and true. The double-stitching on the seams are strengthened in order to provide incredible support to the gloves, all the while resisting all forms of wear and tear. The wrist area has been reinforced greatly in order to reduce wrist strain brought about by punching improperly. The biggest letdown of this would-have-been-incredible pair of gloves is that it will only do its finest work for beginners. 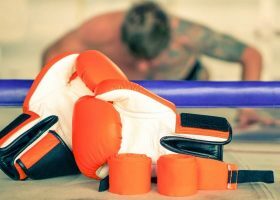 For those who are already more well-versed in training with boxing and its training activities, they might find the gloves somewhat lacking in overall efficiency. For the purposes of beginner boxers everywhere, the Meister Pro is an incredible bargain. It’s durable and stable enough for heavy bag training and light sparring, while being functional and comfortable enough to give you a good overall experience. More experienced users better steer clear of this one though, as it’s not rated high enough to be on the radar of professional boxers.